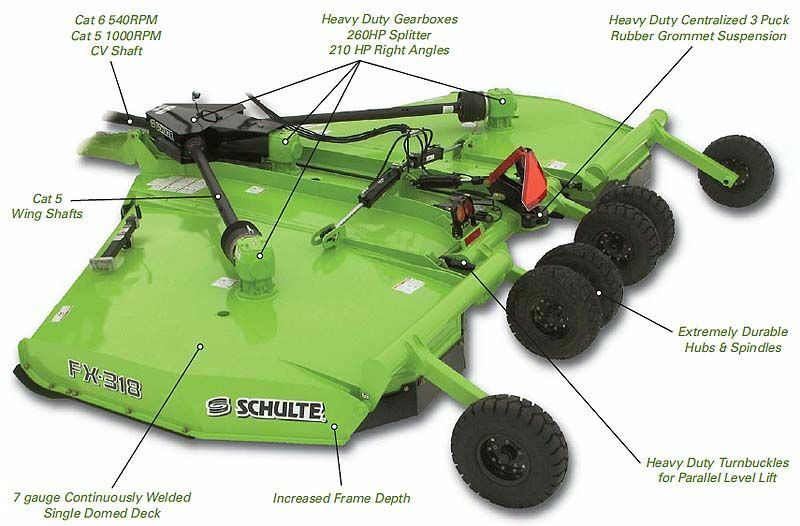 Schulte Cutters are legendary throughout the mowing industry for being the toughest and most dependable. 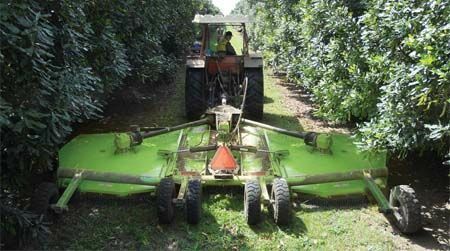 The FX-318 continues this renowned tradition at an economical price, making it an excellent choice for mowing crop residue, pastures, weeds, orchards and roadsides. 18’ flex wing mower that can be run with the same HP tractor as most 15’ flex wing machines but gains the extra 3’ cutting width. An ultra-narrow transport width makes moving this unit extremely safe and simple. Standard with 6 laminate tyres, single blades and single safety chains front & rear with half rubber flaps. Option: 6 Forklift tyres in lieu of standard laminate tyres, dual wheels on wings. Schulte Industries Super Suction 1/2" x 4” blades leave nothing behind. Schulte blades are strengthened through a hardening process which increases the impact strength of the blade. The blade is chamfered around the blade bolt hole to provide a smooth transition of surfaces around the high stress blade bolt area. The blades are also shot peened to induce beneficial compressive surface stresses over the entire length of the blade. This enhances the durability and extends the fatigue life of the blade. The cutting edge is forged giving it a stronger and tougher edge thereby extending the life of the blade. 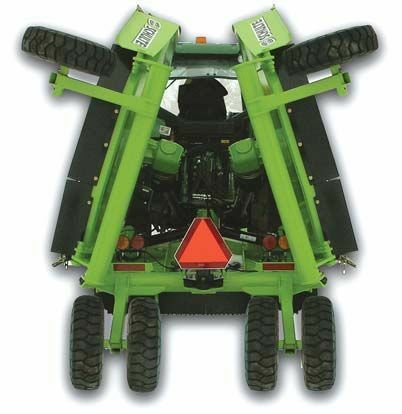 Option: Shredder blade kit, T-bar mulching kit with mulching shields. 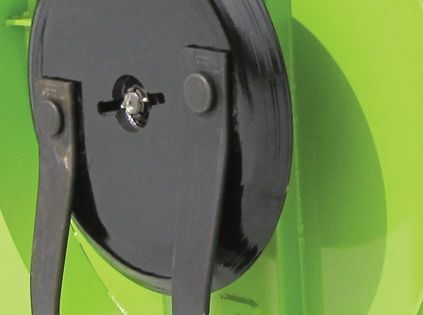 Schulte Industries exclusive Pentagon Blade Bolt provides maximum anti rotational resistance where the blade is fastened to the stump jumper pans. Deck rings are standard on the FX-318 providing protection of the cutter deck from the blades rising when obstacles are encountered. Extemely strong and durable 517 hubs and spindles with built in metal seal guards allow this cutter to tackle any type of terrain. 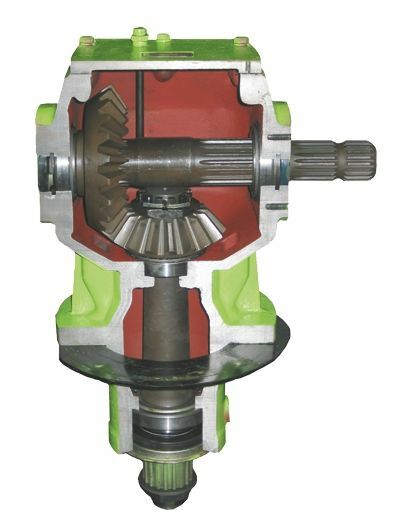 540 RPM or 1000 RPM with 80° CV drive or 540 equal angle non-CV drive at the same price. Single 7-gauge domed easy clean deck sheds water and debris and increases deck life. 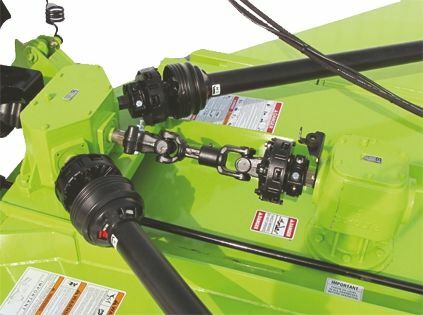 Heavy duty gearboxes & drive system with spun formed 7-gauge stump jumper pans ensures durability & perfect balance. 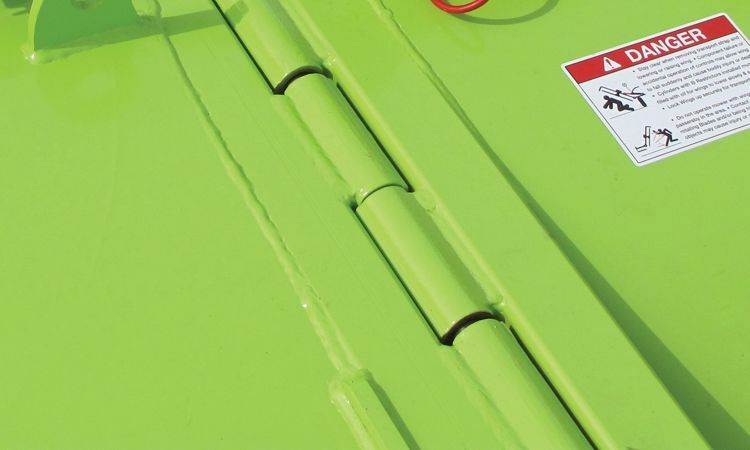 A one piece center shield allows for easy and full access to drivelines, clutches and gearboxes on the center section. Greaseable hingeline turnbuckles help to reduce wear and aid in long life of the cutter’s parallel lifting mechanism. FX-318 side skirts are 13 5/8" deep. 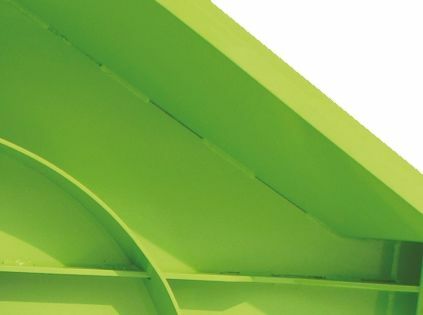 This additional room under the deck, along with high blade tip speeds, allows for a better cut and better material flow. 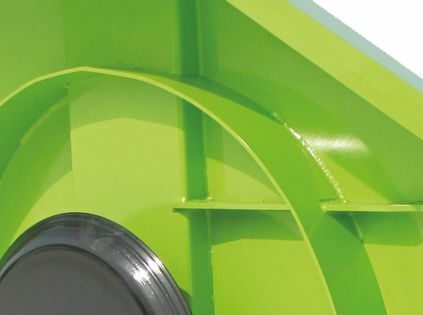 This cutter has replaceable skid shoes which are made out of 3/8" thick abrasion resistant steel. 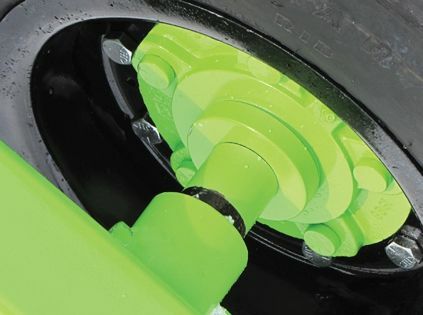 The center and wing wheel standards are constructed from heavy duty large 5 9/16" O.D. x 3/8" thick HSS round tubing. 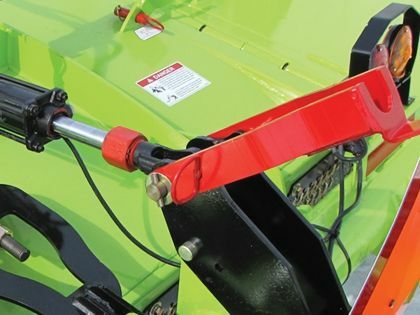 Schulte has many hitch options including clevis hitch, an adjustable clevis, precision hitch or solid tongue to help create a better fit & reduce wear on your tractor's drawbar. All pivot points use 1" greaseable pins. The ball valve wing lock up system prevents the wings folding down in transit. 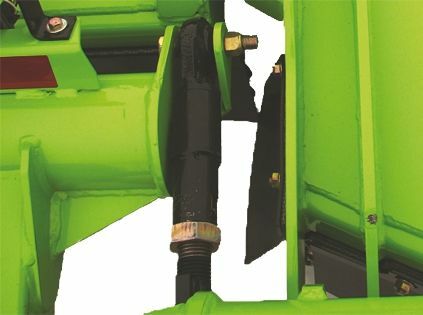 Easy to use centre locking system locks the machine in transport height. Deck protection rings are standard. 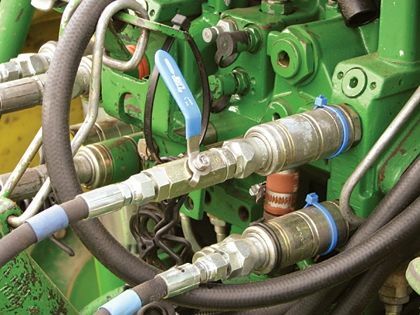 Heavy duty drive line for peak performance. 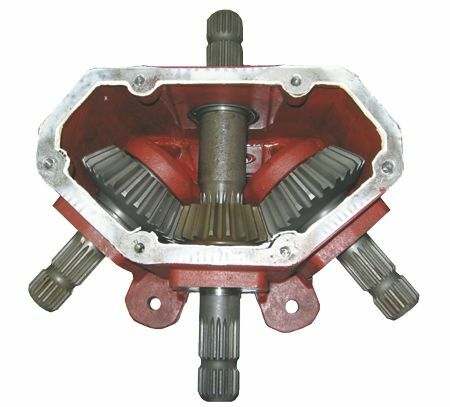 210hp right angle gearboxes with heavy duty shafts and gears. 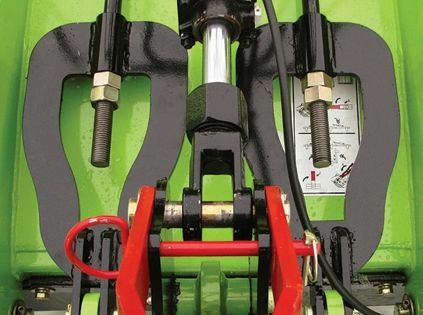 260hp heavy duty splitter box with 1 3/4" splined shafts. Dual levelling rods with floating hitch. Metal seal guards on 517 hubs. 7 gauge spun formed stump jumper pans. 346mm deep deck for maximum material flow. Heavy duty cast hinge line with wiper seals.